Live Out of Abundance and not Need. The Vision of the White House and Wall Street. About five years ago, our family was invited to the home of Pastor Lalitha Rachur, in New Mexico to pray in the New Year. During this time I had a vision of the map of the USA with a caved in hole around the area of Connecticut and Massachusetts. Since that time I have been puzzled and disturbed by the vision, never getting an answer from the Lord about what it means. Last night I was praying and I re asked God for the interpretation. What He showed me left me so troubled that I could nothing more than ask Him to have mercy on our great nation, the USA. The caved in hole was being progressively dug by several bulldozers. The bulldozers just kept ritualistically digging up dirt and flinging it behind them. There was no rhyme or reason to their digging. The thoughtless dredging of the earth represents our American mindsets. It is zombie like, robotic, unthinking consumption. It was a wasteful, non-stopping, digging, excavating, grabbing and dumping, over and over and over. A lustful need for more and more, without discernment, or thankfulness to God, or thinking of our neighbors, or our future, or of our children. Just a digging, grabbing and dumping, digging, grabbing and dumping. If you have ever seen the phenomena of a sinkhole, as the hole widens suddenly homes hundred reds of feet away, suddenly lose their foundation and sink into the hole. I suddenly saw the White House and Wall Street totally lose their foundation and collapse in into the loose soil near to the hole. By all effects, there was no more Main Street or Wall Street. I realized then that America had not foundation except soil. I cried, O God, bring in some cement into the soil so that our White House or Wall Street do not collapse into the sink hole. I realized that the cement must be brought in by the church. As I cried it seemed like bits of cement were being injected into the soil around it, but it seemed too little. We the church have been so asleep. After I got off my knees and went back to bed, I wonder if it is too little too late or of we still have time to awaken and place enough of the foundation of God into this land to prevent a total collapse of this country. I will continue to pray. The Kenyans say, “Where God reveals God deals. “ I am thinking about my children and the generation that we are mentoring! Humpty Dumpty Fell Off The Technology Pole. We’ve heard the story of Humpty Dumpty’s great fall. I want to tell you a story of what happened to Humpty when he text messaged on his phone. God gave me this brief vision days back. Humpty was sitting on a pole. He was busily looking down, preoccupied as he texted. The more he texted, the more he slid down. He kept on texting and sliding, texting and sliding. Humpty was so darned distracted that he kept on sliding down. The pole was pretty high. When Humpty fell, he broke into hundreds of little pieces. So unrecognizable was Humpty; I did not know how to put him back together again. Or as the rhyme says. The vision ended with Jesus Christ standing over the pieces that were once Humpty Dumpty. 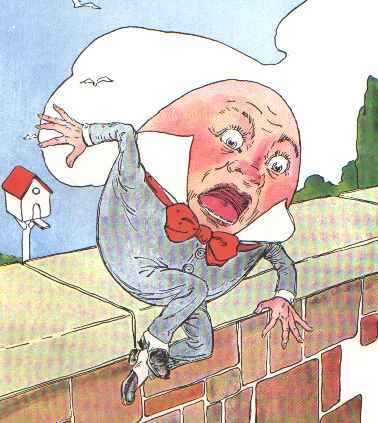 In the vision, Humpty Dumpty is America. Prophecy can be conditional based on how a person responds. Many a time it is a stark warning from God. In my opinion if the church brings revival and reformation this prophecy does not have to become reality. God is a God of mercy who does not wish a Humpty Dumpty to occur. America is on a course with crisis. It seems as if our political and judicial systems are near broken beyond repair. God will never, I say, never bless corruption and dishonesty. Sooner or later God catches up to this kind of system. Our finances are beyond saving, the economy is being artificially propped up. Much of the church is not awake and vigilant. The keys to America’s wellbeing are in her hands. A drowning man can only be saved once he goes unconscious. Otherwise, he will pull the rescuer down with him. Will America be rendered unconscious by her own doings? I guess that I will continue to pray, preach, bring revival and wait. Why Is Deception Like A Planet? Matt 24: 4 And Jesus answered and said unto them, Take heed that no man deceive you. Look continually to yourself that nobody will “planetize” you. I love the word “deceive” in the Greek. It is the word “planet”. In Greek mythology, planets were called wanderers or the wandering ones. If you look at an astronomical chart you will see that our nine or maybe ten planets circle or “wander” round the sun. Thus, this suggests the word deception. An individual whom is being deceived aimlessly wanders away from the truth. The word planet is also used for “error”. In the United Sates we see the prince of the authority of the air using technology to “planetize” people. Mind you, technology is an awesome tool which greatly benefits humanity and the work of the kingdom of God. The devil uses technology in the lives of those whom are not paying attention to their walks with God to cause them to planetize or wonder from the truth of the Word of God. Whereas Africa gets hit by a demon of poverty, the USA is getting wacked by a demon of distraction. I am amazed at how many Americans the devil has planetized to cause them to look down at their technological gadgets. Many are consumed with self-entertainment. Everybody, everywhere, is always looking down. How can you see what is ahead of you? Fewer still are looking up to heaven, from where their true helps lies. When you get on an airplane to go to east Africa, you will find many looking down as well. They, however, are looking down at their Bibles! This is a phenomena for many Americans to see! It was Watchman Nee who said, that you never save a drowning man until he goes unconscious in the water, lest his kicking and flaying will cause you to drown as well. One must wait until he goes unconscious and then pull him out of the water. I think that America is a nation that will have to go unconscious before it gets saved. Ephesians 2:2 tells us that the efforts of the devil is to energize in the lives of those whose to stubbornly and obstinately reject God. This verse not only talks to non-Christians, but to Christians as well. This supports my supposition that a person, or for that sake a nation, will open up doors on itself for the energizing of the devil if it becomes stubbornly defiant and arrogant towards its creator. America is on a slippery slope towards this. As a matter of fact, the energizing of the devil upon our land is quite evident. In the 50’s America was the head of the world. Today we are descending to become a tail. Matt 24:5 For many shall come in my name, saying, I am Christ; and shall deceive many. Many for will be coming upon the name of me, saying I am the anointed and will planetize many. The word “deceive” in verse 5 is in the active voice. This means that deceivers will actively planetize unassuming people who are not paying attention to themselves and their relationships with God. 2 Thess 2:7 For the mystery of iniquity doth already work: only he who now letteth will let, until he be taken out of the way. For the mystery of lawlessness, or what is void of all law, is right now energizing, until the one who has the power to detain and keep it in check even at the present time, is from the midst becoming. This complicated verse has been interpreted in different ways. I would like to highlight some of the most prevalent points. A mystery is something that is hidden or that lives in the darkness of secrecy. A mystery must be revealed, since it cannot be accessed through our physical senses. A mystery once totally veiled is now progressively revealed. At the moment that Adam and Eve disobeyed God, the mystery of iniquity kicked in. Men in those days lived to be over 900 years of age. The progressive revelation of the mystery of iniquity has eaten up into the lifespan of mankind throughout the centuries. This mystery of iniquity or better said, the absence of all law is active today in our generation and continues to unveil itself until the consummation of this age, when Jesus Christ comes to establish His new kingdom. In just over one generation, from the 1960’s to the present, we can see the progressive revelation of the mystery of lawlessness in our world. TV programming is just one aspect of it as the filth of bad language so naturally flows through the mouth of actors. Many times I close the door to my office as not to hear verbosity that truly offends me, and this emanating from innocuous family oriented TV programs. Forty years ago, not even one single of these filthy words would be dreamed of being on TV. The mystery which is being revealed and planetizes people into more and more lawlessness will probably culminate in the anarchies of societies. Whereas, nations in Africa are welcoming the gospel, western nations such as the USA are rejecting it. It won’t be long until we perceive so-called third world countries arising to be heads as the richer western nations are becoming tails. I think that America is a humpty dumpy, sitting on the wall. And then will the Unlawed one will be uncovered whom the Lord will consume with the spirit of his mouth and will render useless and nonoperational with the epiphany of His presence. This verse obviously talks about the Antichrist. The prevalent thing to notice here is that the Anti-Christ a man whom is void of all law, obviously a figure who thrives on anarchy, will be uncovered at a set season. For an anarchist to be adored by the world, it must have also embraced anarchy. I was reading yesterday, that a new form of terrorism being executed in Europe is promulgated by anarchists. It does not take much to see the mystery of lawlessness, or better said anarchy, at work than in those who today contest that the legitimacy of the constitution is not prevalent or foundational to our country. The function of the mystery of lawlessness can be seen in all of those who want to strip foundational premises which have supported the beneficial growth of nations. The voiding of the constitution if it were to succeed will bring anarchy. We must see with the eyes of the Spirit and perceive that the prince of the authority of the air is attempting to ram the mystery of anarchy at full speed into America. Where there is anarchy, another type of government can step in. As Christians we can sit passively by, then die, and leave this mess to our children, or we can pray and fast and refuse to planteize from the truth of God’s word, no matter what comes. Wherever the manifestation of Christ is, there is His work of making non effectual or non-functional all that is sin. This is why it is so important to spend time in the presence of the Lord Jesus. Whose presence is in accordance to the energizing of Satan (diabolos/ the one who hurls or throws accusations) with every ability, signs and wonders found in what is pseudo. The word for “lying” in the Greek is pseudo. Something pseudo is a falsehood, a sham, something spurious. What is pseudo, does not have to be entirely false. It just needs to contain enough half-truths to cause people to planetize from the truth. And with every seduction, guile, and deceitfulness of doing what is not right in the eyes of God. Every disobedience towards God brings guile and deception as it seduces you. This mystery of anarchy is energized in all of those that without an agape or unconditional love for the Word of God do not heartedly welcome it into their lives. The Word of God must be loved and welcomed, there is no other way! And through this act of unwelcoming His Word, God sends them “ an energy of planetizing” for the purpose of them believing what is pseudo. I can’t think of a more convicting verse probably the whole Bible. For those who obstinately reject God in their arrogance, He allows the devil to energize in their lives. This type of energizing is an activation that will cause people to wonder aimlessly into error for the express purpose of believing what is false. We cannot blame God for this. God did everything in sending His only Son into the world to save humanity. If people choose to reject God and mock Him, they open up a door into their minds and hearts for the demon that administers the energy of planetizing to cause them to aimlessly wonder. In order those might be judged who choose not to believe the truth but rather take delight in sin and disobeying God. Americans, who care about their future in this great nation need to educate themselves as to what the Federal Government is doing. This is not a partisan or political issue. This is an issue of your future, if you have made America the nation where you plan to settle. If the Federal government does something that will negatively affect my conservative values, it won’t be long when it will do something that will adversely affect your liberal values. We all get burned regardless of political affiliation. We think that there is a conflict between conservatives and liberals, but we are wrong. There is a battle waged against all Americans, liberal and conservatives, by the federal government. The federal government is neither conservative nor liberal. It’s on a mission to permanently change the face of America, through agendas which will affect both conservatives and liberals. The heads of Democratic Senate, and Mrs. Pelosi, the minority leader of the Congress, have urged the President to raise the debt ceiling, by invoking the 14th Amendment, circumvent the authority of Congress, and raise the debt ceiling by himself. Listen to what a former judge, Andrew Napolitano, has to say. Next, as to the Second Amendment, the right for Americans to bear arms, and the president threatening to affect the amendment with as many as nineteen executive orders, these are the facts. Former U.S. Attorney General Edwin Meese III declared in an exclusive Newsmax TV interview that President Barack Obama could easily be impeached if he bypassed Congress and enacted gun-control legislation by executive order. “It would not be legal. It would not be constitutional,” Meese, who served under President Ronald Reagan, tells Newsmax. “And, indeed, if he tried to override the Second Amendment in any way, I believe it would be an impeachable offense. It should be remembered that the president cannot by executive order do things that affects the public at large unless there is some congressional basis for it,” Meese tells Newsmax. “In other words, some Congressional authority he has been given. 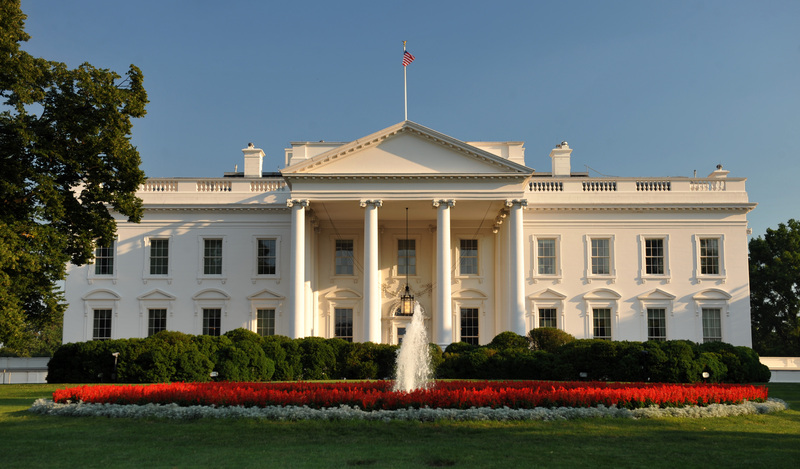 “An executive order without specific congressional authority can only apply to those portions of the government that are under his control — in their words, the executive branch. Now there are some things he can probably do in regard to the actions of the Bureau of Alcohol, Tobacco, Firearms and Explosives, or some other governmental agency in its operations. “But to impose burdens or regulations that affect society generally, he would have to have Congressional authorization,” he said. A constitutional amendment cannot be altered by executive order. Period. Many Americans fail to realize that the right to bear arms was penned by the writers of the constitution to protect them from being overtaken by a tyrannical government. Every tyranny which has succeeded, has done so, through disarming the nation. If law-abiding Americans are disarmed using the pretext of a Sandy Hook, America becomes vulnerable to the overtake of a tyranny. Once again, this is not a conservative versus liberal issue. It is not Democrats pitted against Republicans. It’s Americans like you and me, having a cumulative battle being waged at, by the Federal Government. 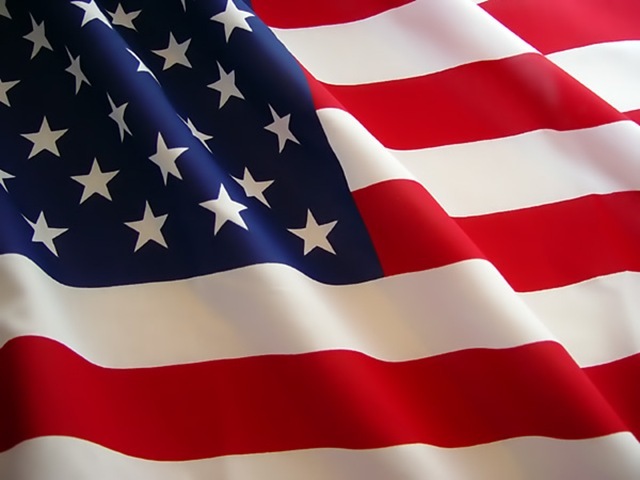 We enjoy living in the greatest nation in the world because of an amazing constitution which was crafted by men and women of moral characters, hundreds of years ago. The work of a tyrannical government is to slowly alter the constitution while the nation sleeps texting, watching reality shows, and listening to the morning news. Most Americans who read this today, have no idea what a tyranny is. I fled from one. If the constitutional amendments which we as a cumulative people enjoy, are seized and altered, all of us as a cumulative people will get burned, and will come to regret our complacency and apathy.